If your Mercedes has been damaged in a crash or collision, Montclair Auto Body is here to provide timely and accurate auto body work. Vehicle owners in Ontario trust us to deliver superior results that they can appreciate behind the wheel and on the road. As an independent auto body shop, we're not tied to any big name brand that dictates our prices or performance, yet we still maintain the certification and training necessary to provide exceptional service and repairs for your Mercedes. 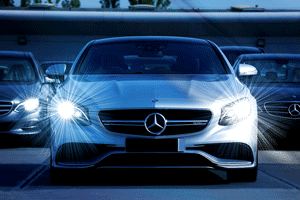 For Mercedes Drivers in Ontario, We're Your Auto Body Shop! Our shop appreciates that your Mercedes is essential to your day-to-day life as well as a major investment. Therefore, we will care for your Mercedes as if it was our own, and we will help you extend your vehicle's life, all at competitive pricing. Come by our shop in Ontario, or contact us online or by phone to make an appointment today!